The Drip Pro® Hi-Flo GEN-3 Check Valve in conjunction with BETE Thick Swirl technology, is a NEW heavy duty design that will not only continue to reduce the drips which contribute buy xanax 2mg to scorched particles, but is able to run in the most demanding environments for longer time periods. That’s why it’s never a better time than NOW to upgrade to Drip Pro® Hi-Flo GEN-3. Keeping your valves in tip-top condition is critical to safe operation. If you are using older valves then it is a great opportunity to upgrade to Drip Pro® Hi-Flo GEN-3 and in doing so replacing any old or worn parts to reduce the risks of dryer fire. 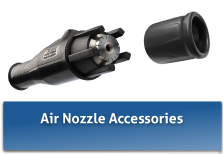 It’s time to look closely at your nozzles. The advantages of using a Drip Pro® Hi-Flo GEN-3 spray dry nozzle check valve by Spray Nozzle Engineering will improve product quality, reducing the amount of scorched particles in your dryer.